It’s "GO" time! Take a ride on the Reading Railroad. 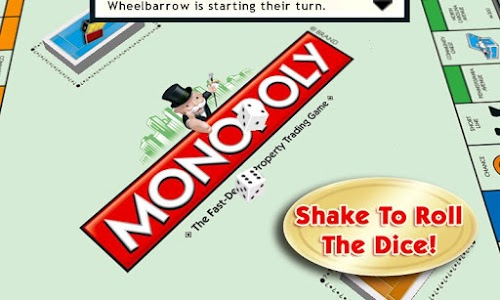 Buy Boardwalk. Go directly to Jail. 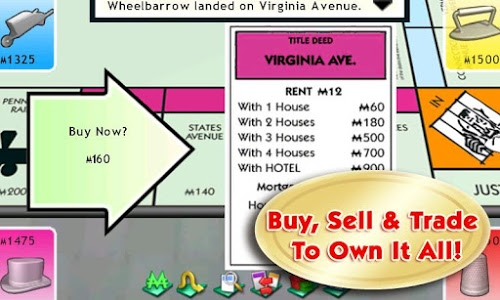 Buy, sell, and trade the famous MONOPOLY properties, and see the game jump to life with animated features and easy gameplay. 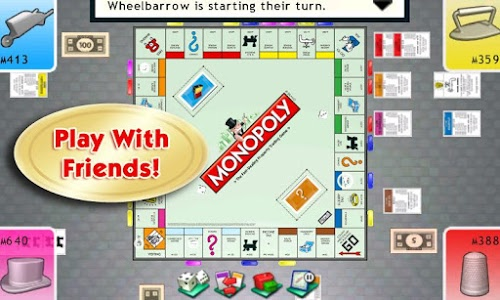 Challenge friends and even customize the game rules! 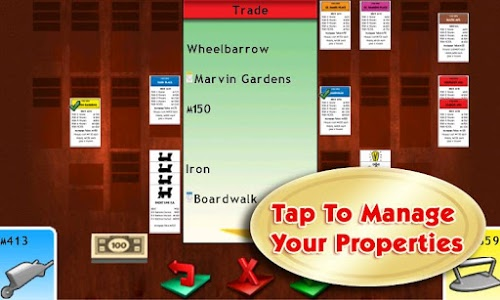 Tap the screen to manage your properties – from Marvin Gardens to Water Works to Park Place. Building hotels or taking a “Chance” is simple and intuitive. Play through 3 levels of difficulty and save games in progress. 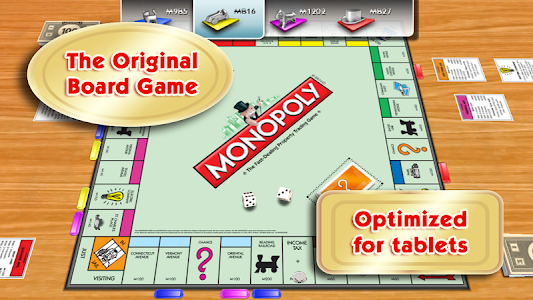 Also customize the number of players, the game rules, and even the game environment. 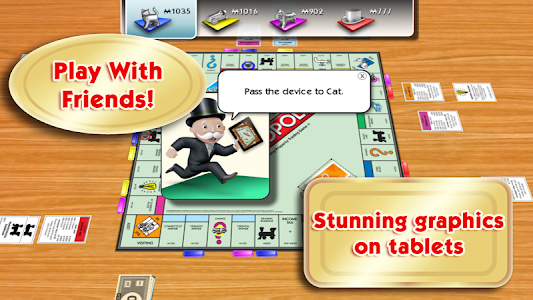 Enjoy MONOPOLY in the tradition of the beloved, best-selling board game! Important Consumer Information. This app: Contains direct links to the Internet. 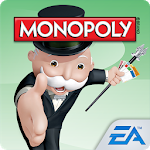 We appreciate your feedback and have made improvements to deliver the best game experience to your Android device. 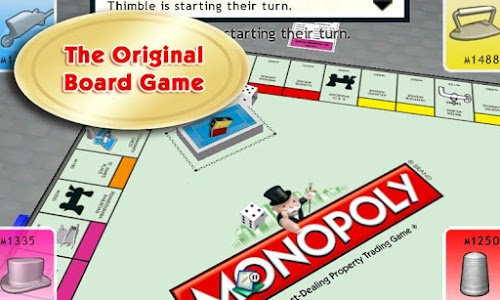 Thanks for playing Monopoly!